Taking the MAT can be stressful enough;, be sure that you are thoroughly prepared for the actual MAT test day so that you can focus on the content of the exam and not the logistics of preparation. The first thing is to make a study schedule that you can follow whether it is one week or one month or more out from the exam date. Hopefully this doesn’t end up as a last minute night-before-the-test checklist. But these are good things to take care of about a week before the exam. Confirm your test location and registration. Know the route to get to the testing center and how long it takes to drive it. If possible, drive the route around the same time you will be taking the exam to get a feel for traffic. If the testing center is in another city, make sure you know the route from your hotel to the site. You might want to call a local radio station for traffic information during the typical day and time of your test. Make sure you have your two appropriate forms of ID ready (a list of these can be found in the Candidate Information Booklet from Pearson). Have the addresses for the schools to which you want the results sent. Set out your clothes for the next day, eat a good dinner and get a good night’s sleep. Make sure you set your alarm! If the testing time is after lunch or during an awkward time, make sure to take a snack to eat right before test time. Leave 15 minutes earlier than it will take you to drive to the testing center. Present your two forms of ID and the recipient school addresses and be confident that you are ready to take the test. 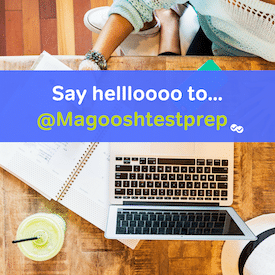 If you do all these things leading up to your exam, your MAT test day will go amazingly! Good luck! How Do I Send in My Miller Analogies Score Report?